Students are often faced with a question that follows them through math classes, science classes, and all classes in between: When will I use this? Polynomials, balancing equations- while they are necessary in school, students tend to wonder when these skills will truly be used in adult life. Though many classes are engaging and worthwhile, few classes provide a solution to this question. One class with an answer is Advanced Placement (AP) Government. In the class, students acquire knowledge that they can apply to their lives in the real world. “Regardless of the profession anyone chooses to be, there is a nearly 100% chance that their profession will be affected or influenced by the laws/ordinances/policies implemented by our government. Whether it be the taxes they pay, licensure to practice, business hours, wages for employees, the raw materials they can use, or even the environment they can work in, all of these are determined by the various levels of government we have elected to office,” Daniel Jeffers, a teacher of AP Government since 2014, said. Government, both AP and regular pace, is one of the handful of classes that gives students information and knowledge that they will use throughout life. AP Government, however, enables this flourishing of knowledge at a more rigorous, involved pace. “Everyone in there cares about their grades and stuff, so it’s a cool environment to be a part of,” Jacob Marsh, senior AP Government student, said. Demanding though the class is, the outside-of-class projects required help students learn in the actual government environment. “All government classes have a public meeting requirement in an attempt to show students how close the government actually is to us. Attending one of these meetings gives students that glimpse of what these elected officials do, how they spend their time while in office, but more importantly, how easy it is for members of the public to find out what is going on and voice their opinions as well,” Jeffers said. In spite of the rigor of the course, students do well in the AP Government class. Much of that success is owed to the man who has taught it for three years. “He teaches more like a college professor than a high school teacher just because he’s talking the whole time and you’re getting a lot of information out of him. The passion he has behind the subject he teaches is really prevalent. You can tell he cares a lot about the subject,” Marsh said. What helps Jeffers be an exceptional and engaging teacher is his own profound love of the United States government. “There is rarely a day that goes by that I am not puzzled, annoyed, or frustrated by the policy decisions made by our government and the officials elected to represent us. However, there isn’t a better system of government available to humanity. This country is guided by the world’s first federalist system of government and the world’s oldest standing Constitution. Disagreements are common, but through cooperation, compromise, and consideration, everyone has a seat at the policymaking table in this country,” Jeffers said. Government, for all of the reasons that Jeffers loves it, is a required class for all students to take in order to graduate. Since all students must take it their senior year, it is worth considering taking the class as advanced placement. 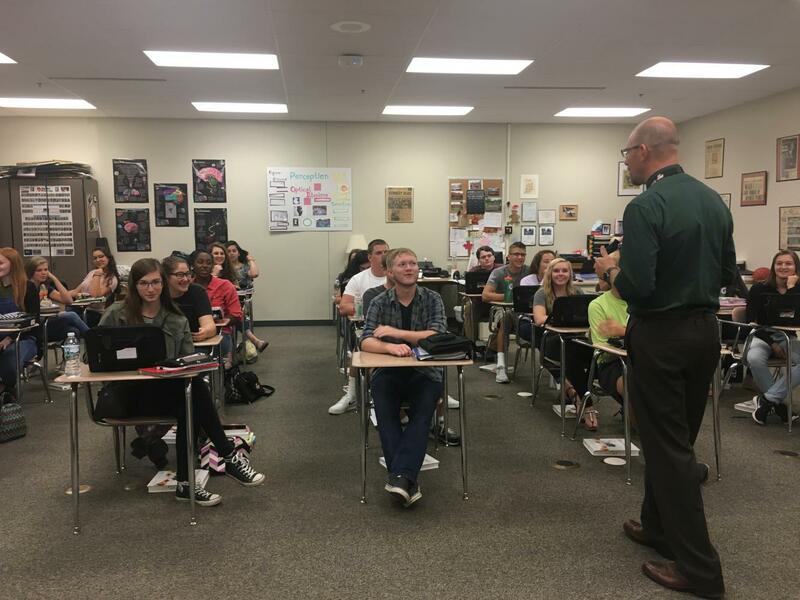 “People should take AP Gov because it’s really important to know about your government, and obviously the class won’t teach you everything you need to know, but it gives you a good stepping stone,” Marsh said. Though our government is apt to work in reverse, and sometimes not at all, the AP Government classes are sure to be working.